A few weekends ago, four friends from my college days and I got together for a couple of days of great talk, good food, and fun times. 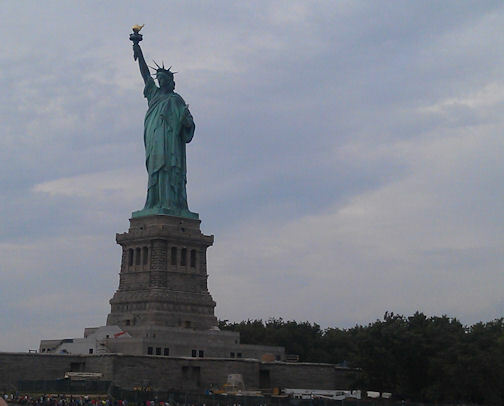 We spent one of our amazing days together in New York City seeing some of the sites. We got to New York City by boat, first on a NY Waterway ferry from Weehawken, New Jersey and then a Hop on-Hop Off water taxi. 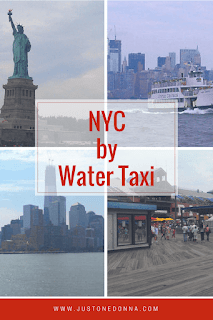 If you are looking for a stress-free way to spend a day in New York City, the water taxi is the way to travel. For just $26.00 (in 2012) per person, we were able to stop at multiple destinations. 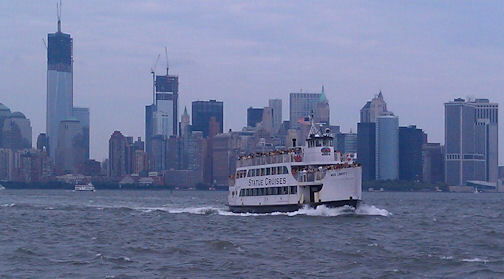 The day we visited New York City was hot, about 90 degrees, and the water taxi was comfortable and dependable. You can choose to ride the water taxi either inside, or outside. Outside was lovely on a hot, summer day. 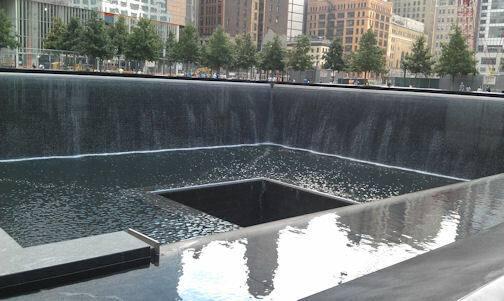 We visited the beautiful 9-11 Memorial. If you plan to visit the Memorial you'll want to reserve a pass in advance. 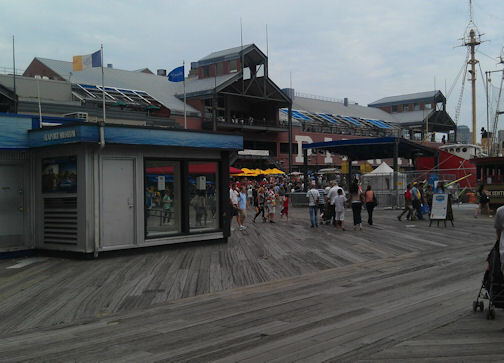 Our lunch stop was at the South Street Seaport, where a sandwich and a frozen margarita were just what the doctor ordered. From the South Street Seaport we walked to Wall Street, and on the way, we ran into a movie shoot. The Wolf of Wall Street stars Leonardo DiCaprio, Jonah Hill, and Matthew McConaughey and is directed by Martin Scorsese. There were a lot of people milling around waiting to catch a glimpse of the stars. Back at the South Street Seaport, we caught the water taxi for a ride to Brooklyn, and an up-close view of the Statue of Liberty. We all agreed the water taxi was ideal transportation for us and it made the day even more enjoyable than it would have been otherwise. 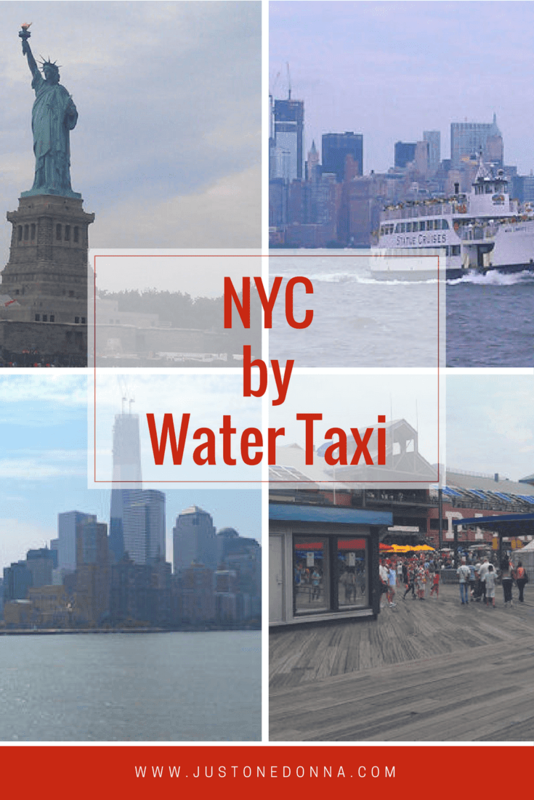 It's a great transportation option to consider when visiting New York City.